What are the key etalon parameters? An etalon is defined by its aperture size, its cavity spacing, the flatness and reflectivity of the plates and the wavelength of operation. How do I choose between a fixed or tunable etalon? All etalons can be tuned by changing the optical path through the cavity. Fixed gap or solid etalons can be used if minimal tuning is required otherwise a variable cavity etalon should be used. How do I maximise the etalon throughput? The flattest possible plates should be used for maximum throughput. 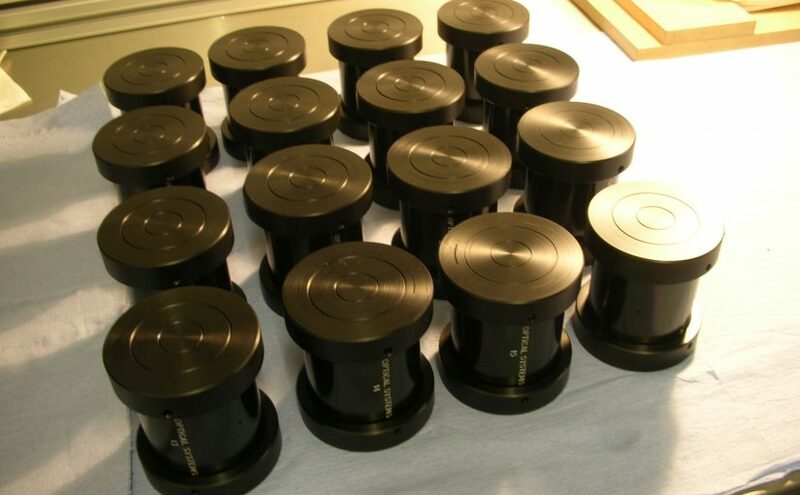 The parallelism of the mirrors and the coating reflectivity must also be carefully defined. How do I ensure that the finesse is optimised? The finesse is influenced by the mirror parallelism, optical beam characteristics, alignment and plate flatness. These parameters must be carefully chosen and controlled. Why does a piezo tuned etalon need a CS100 Controller? The CS100 controller maintains the parallelism of the etalon mirrors and allows the optical gap to be scanned. The CS100 uses capacitance sensors built into the etalon to sense changes in mirror separation which are fed back to the piezos to control the mirrors. What makes an ET Series etalon so stable? The components of an ET Series etalon are optically contacted into a monolithic structure in which the piezos provide the only movement. A special glass reference adds further stability. Is it possible to use etalons outside the lab? Etalons can be used outside the laboratory environment if they are protected from condensation forming on the mirror coatings. This can be done by flushing with water free nitrogen gas or by using custom sealed cells which also reduce the impact of atmospheric pressure and humidity changes on the optical cavity.